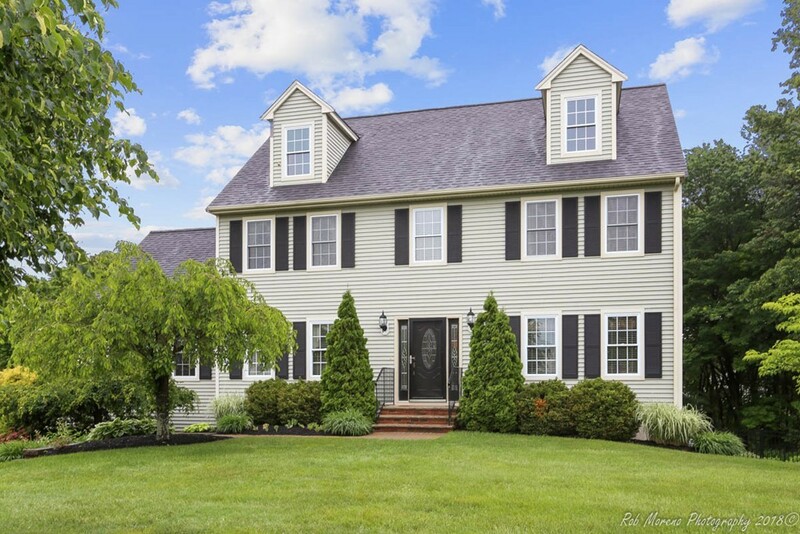 **BRADFORD, MA NEW TO THE MARKET** This Home offers all of the Amenities A Custom Designed 9 Room, 4 Bedroom, 2 Bath Center Entrance Colonial with a heated oversized 2 Car Garage located on a cul-de-sac in a highly sought after Bradford Neighborhood boasting 3,000 +- S.F. of Finished Area. Some Special Features Include: An Open Concept Family Room with Gas Fireplace / Large Kitchen with Granite & Stainless Appliances / Crown Moldings / Central Vacuum / 2 Zone FHA Heat with Central A/C / Hardwood & Tile Floors / Security System / Lower Level Bonus Room with Gas Stove / Walk-up third floor for future expansion / Full length upper & lower composite decks / Retractable Awning / Professionally Landscaped with a 20 x 40 Heated Gunite Pool - Manicured Lawn and a Private Level Back Yard / Underground Irrigation / 16 x 12 Custom Storage Shed / Town Water & Sewer & Gas / Ideal for Entertaining. Easy Access to Routes 95 / 93 & 495, the Commuter Rail, Boston and 3 Major Airports.